When an unusual classified ad inspires three cynical Seattle magazine employees to look for the story behind it, they discover a mysterious eccentric named Kenneth, a likable but paranoid supermarket clerk, who believes he's solved the riddle of time travel and intends to depart again soon. Together they embark on a hilarious, smart, and unexpectedly heartfelt journey that reveals how far believing can take you. 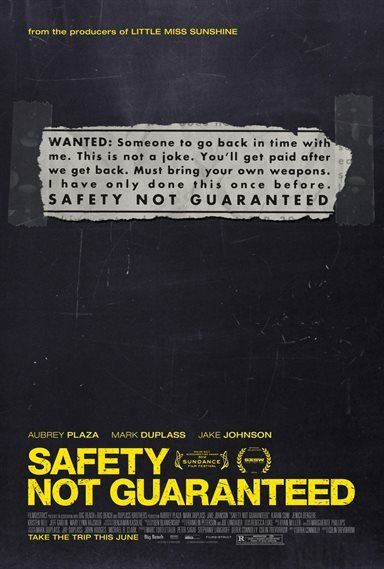 Download Safety Not Guaranteed in Digital HD from the iTunes store. Safety Not Guaranteed images are © FilmDistrict. All Rights Reserved.